Whether you run a small business or need space to organise your life, creating a dedicated home office is a no-brainer for staying sane. Using the kitchen bench as a laptop landing space isn’t exactly the productive solution you are looking for – and pairing it with a glass of wine does not create a work-life balance! Not only can a thoughtfully decorated office boost productivity and creative output, but it can elevate your mood and create a space that you actually want to work in! 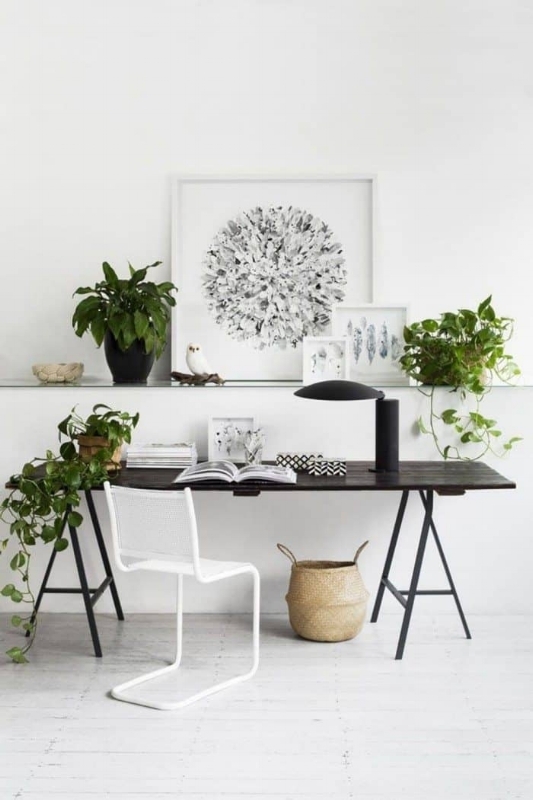 You don’t need oodles of space or a dedicated room to create a stylish and inspiring work space. Sure, it would be nice to lock yourself away in intense concentration, but not everybody has the luxury of space (especially with the current state of the housing market). Make use of an awkward corner or bare wall to add an at-home work area. Nothing creates clutter like mountains of paperwork sprawled over a desk. However, you don’t need to introduce a clunky metal filing cabinet to keep the space clean – get creative with your filing methods by utilising a stylish desk with built-in drawer space or throw a couple of wire baskets on an open shelf. Forget formal workspaces – home offices should be fun hubs filled with flair and personality. I don’t know about you, but a monochrome interior of bare walls and old school filing cabinets isn’t the path to flourishing productivity. Spruce up your home office with décor that reflects your personality. An interesting wallpaper or some refreshing wall art will keep the space from feeling clinical or boring. Then add a textured rug and some greenery to really bring the area to life. Less is more – remember this golden rule. Recreating the rainbow or hoarding decorative trinkets will only clutter the space and create visual distractions. Focus on a calming colour scheme and utilise stylish storage solutions to make the most of your work space. 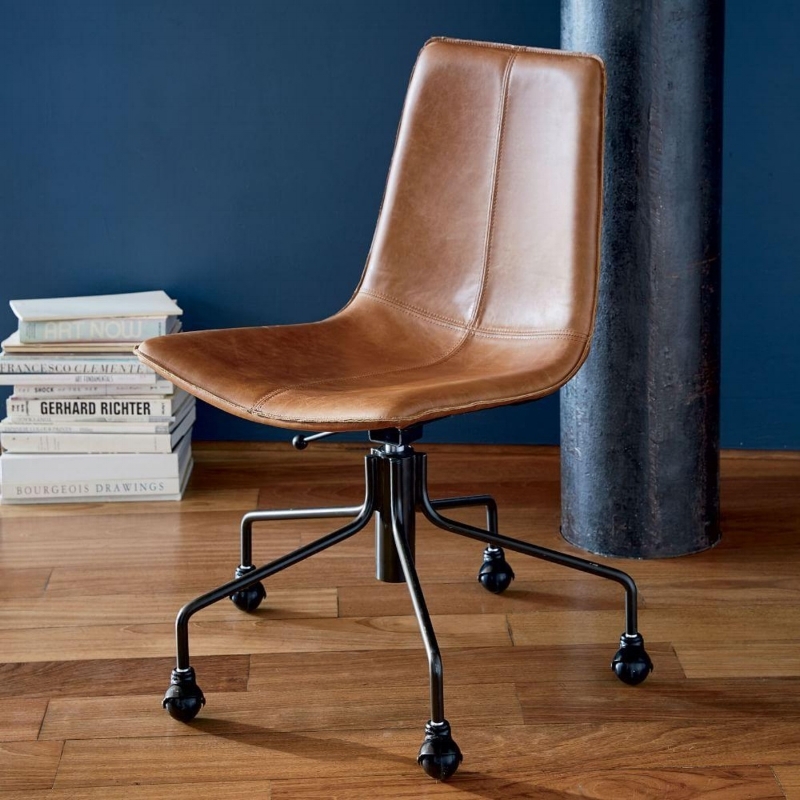 An Eames moulded plastic chair may look oh-so-good on your Pinterest board, but think about what it will do to your back, tush and arms over a long period of time. Take the time to choose pieces that are both functional and stylish.